The first collaboration between Montegrappa and brand ambassador Sylvester Stallone resulted in the Chaos pen. Next came Chaos cufflinks, and in 2013, Montegrappa and Sylvester Stallone are presenting the limited edition Chaos Automatic Analogue Wristwatch. Its 54 mm by 43 mm case is crafted from forged silver or gold with a black PVD-coated case back. 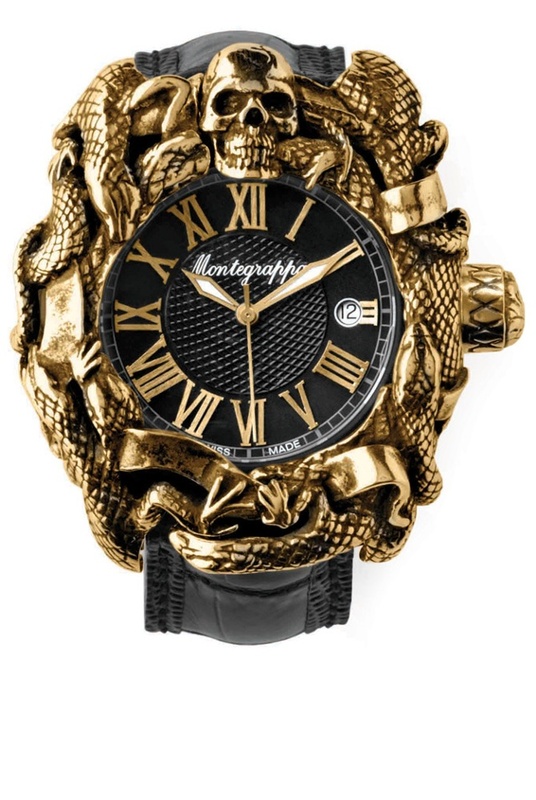 The watch’s bold design features the Chaos collection’s signature skull-and-serpents motif—conceived by Stallone—that continues around the case. There’s also a small, engraved skull on the winding crown to complete the look. The cases are handmade in Northern Italy, where the watch also received its final assembly. The black, bi-level brushed guilloche dial features applied numerals, luminous hands and a date aperture at 3 o’clock, all protected by a sapphire crystal. Powered by the ETA 2824 movement, the Chaos watch has a screw-down crown and water resistance to 10 ATM. 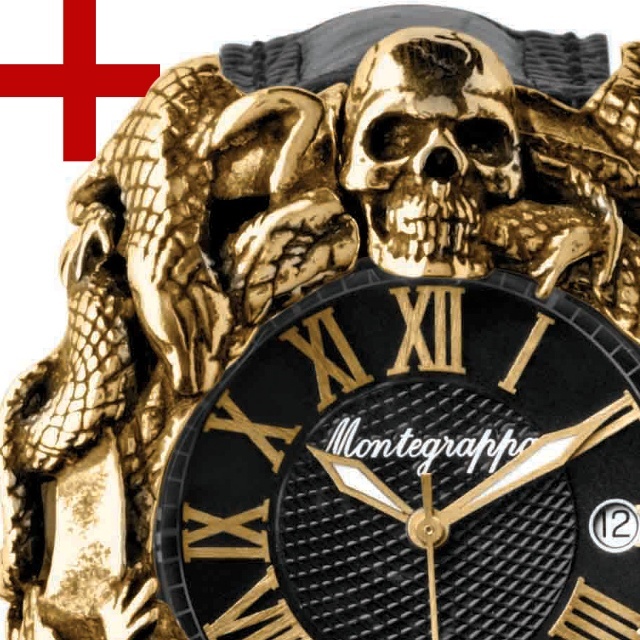 It comes on a leather strap with a skull-motif buckle.